The Thames Valley is seen as a very attractive area for international businesses to establish a UK base and is second only to London. The firm has seen an increasing number of international businesses approach them to provide support to their UK operations. In an increasingly global business economy where companies are looking to operate across multiple jurisdictions having the international support that DFK provides to clients is essential. Bob Law, Chairman of the DFK UK & Ireland National group within DFK International, added: “Oxford had been identified as an important strategic location for DFK UK & Ireland to have representation, so we are delighted to have found such a resourceful and professional firm. Shaw Gibbs becomes the first DFK International member to be based in Oxford. To be admitted to membership, Shaw Gibbs went through a structured process involving a detailed review and inspection, followed by a vote by the existing UK and Ireland DFK members. Shaw Gibbs’ membership is effective from 1 April 2016. 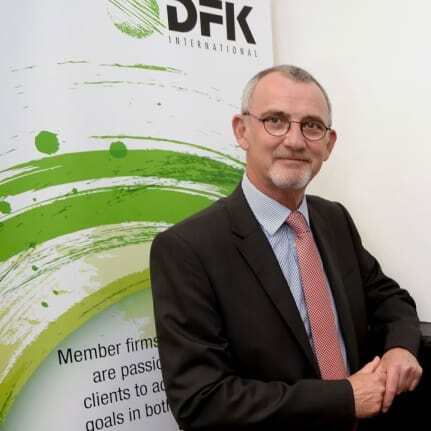 DFK International is one of the world’s leading associations of independent accounting firms with more than 400 offices in over 90 countries, including 19 member firms in its DFK UK & Ireland group. Membership of the network enables firms to provide advice on international business accounting and tax, as well as connections to member firms in 90 countries. For more information visit www.dfk.com.